Having collaborated together in several bands and projects during their school years, the founding members gravitated towards each other, eventually becoming a formal band in 2007. During its first years, Relikc crammed its schedule with a multitude of gigs, all the while releasing a number of songs, establishing its position in the local music scene. 2014 was a year of significant change for Relikc. Following a one-year hiatus due to a change in line-up, the band focused on rebuilding its tight and energetic performance, and released its single, Prime Time, accompanied by a music video. Relikc also rebuilt its presence in the live music scene, hitting several stages, making a much enjoyed return to the Farson's Beer Festival, as well as other events and festivals of such scale. In 2015, Relikc released its debut EP, titled "It's Not Misspelt", which is a playful reference to the common misspelling of its name. Whilst the band has at times struggled with it, they grew quite fond of its quirkiness and the title was meant to tell everyone that Relikc was here to stay. Parallel to this, the EP was the first big release by the band following its one-year hiatus. Late 2016, the members went into an intense period of songwriting, exploring their roots of funk, soul and pop in order to write the songs for their debut album, “The Code Of Antics”. You could say that the members derived their inspiration from what they enjoyed doing most, that is, giving audiences a good time during their live performances with fun and dance-worthy songs. The album was released in July 2017, and the band is back to gigging their hardest! 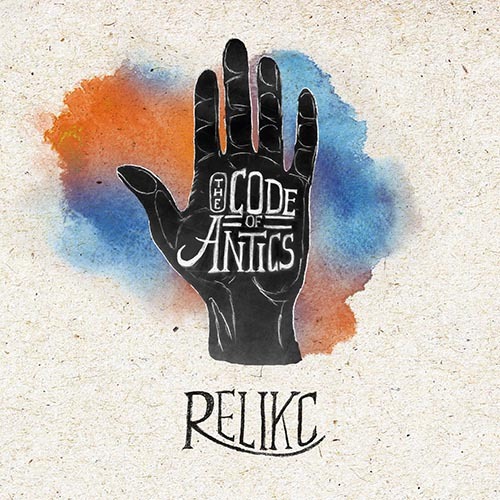 Follow our journey recording and writing the album "The Code of Antics". This mini-series explores Relikc's history and the steps taken in producing their debut album.